Kotusilo is a poor village built on the edge of a rubbish dump. The village has no running water or electricity and people live in overcrowded and basic conditions. Many of the houses are made from mud and it is not uncommon for them to fall down during the rainy season. When visiting Kotusilo adults and children can be seen on the rubbish dump scavenging for anything they can reuse or sell. Living next to the rubbish dump means that the families who live there are extremely vulnerable to all sorts of diseases and infections. In the rainy season they are at very high risk of malaria. Each year Project Gambia distributes mosquito nets, solar lights, clothes and shoes to every family in the village. Imagine a world where there is no switch to flick on for light. Imagine a world where at night the choice is to sit in the dark or burn candles that are both costly and dangerous. Imagine a world where to have light may result in your children getting burned and long term may cause you breathing and sight problems. Imagine how scary the world would be without access to light. We take being able to flick a switch for granted, it’s our basic human right. 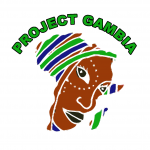 However not for many Gambian communities, and not for the villagers who live in Kotusilo. They choice they face each night is to purchase candles each night with money they cannot afford to spend and put their children at risk or sit in the dark. Under the management of Karamo Tamba and Mary Jabang the ‘Light up Kotu’ Project will enable the villagers to rent solar lights at a fraction of the price of a candle. The money raised with then be used to purchase more solar lights which will then be rented out. One small solar light can change everything. No more sitting in the dark. No more dangerous candles. With hours of light in the evening families can feel safe and children can learn. One small lamp can transform the life of a family.